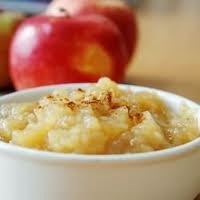 Homemade applesauce -- so worth the effort! And it's not all that much effort if you don't peel the apples. (Remember, apple peels are good for you -- full of vitamins and fiber.) It's best served warm, and I like to add a sprinkle of granola or nuts -- something crunchy. 1. Place apples and water in a heavy saucepan and stir over medium-high heat until the mixture is bubbling. Reduce heat to low and cover. Cook, stirring often, until the apples have cooked down but still have some texture, 15 to 20 minutes. Add sugar, lemon or lime juice, and spices, cover and simmer for another 3 to 5 minutes. Remove from heat and allow to cool, or serve warm or hot. Best restaurant in Cincinnati -- Orchids lives up to its rep.
We went for a delayed Valentine's Day dinner on Friday night. Everything about the experience was excellent, not the least of which is the setting in the Hilton Hotel historic, art deco Palm Court. We had a cocktail at the lovely bar before checking in for our table. 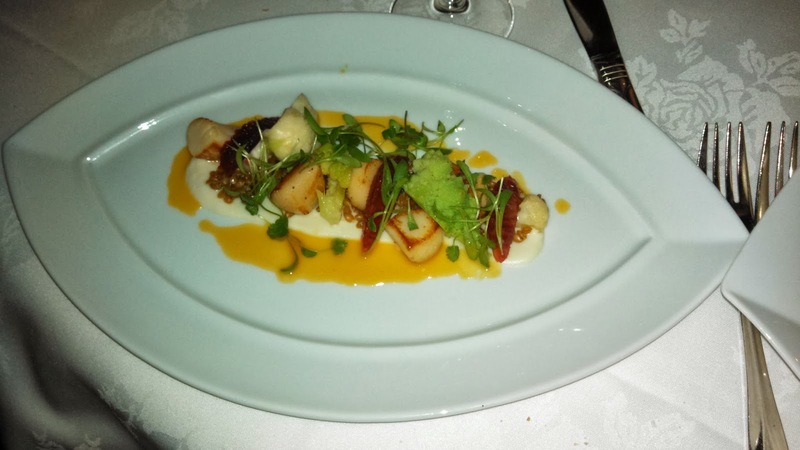 I've always liked the appetizer courses best at Orchids, maybe because I'm the hungriest when they bring the first course. My order was the irresistible lobster salad, and George got the bay scallops. Both are pictured here. My other photos -- taken with the cell phone -- didn't turn out well enough to post. 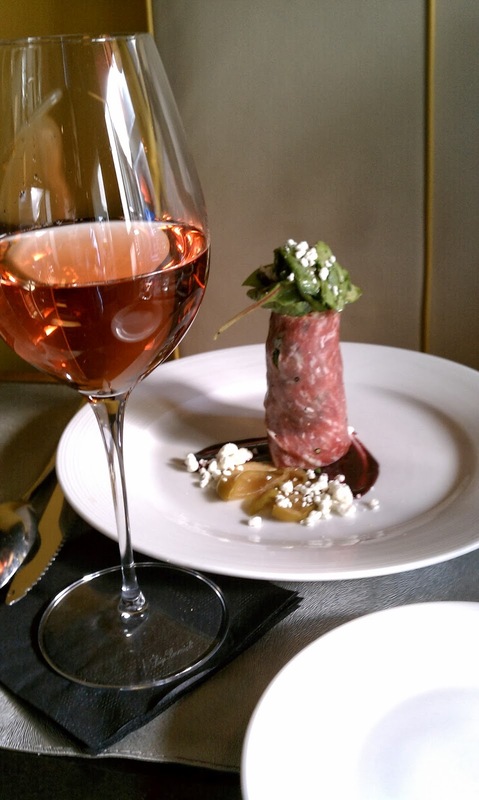 Sommelier Charles Redmond matched glasses of wine with our courses, and they were almost all unusual and delicious. 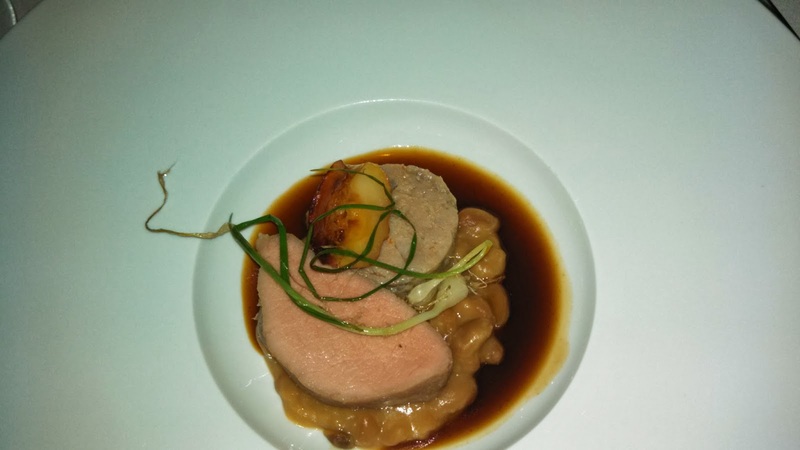 For instance, with the scallops he poured a Spanish Godello, a wine I've only recently discovered. George loved it. 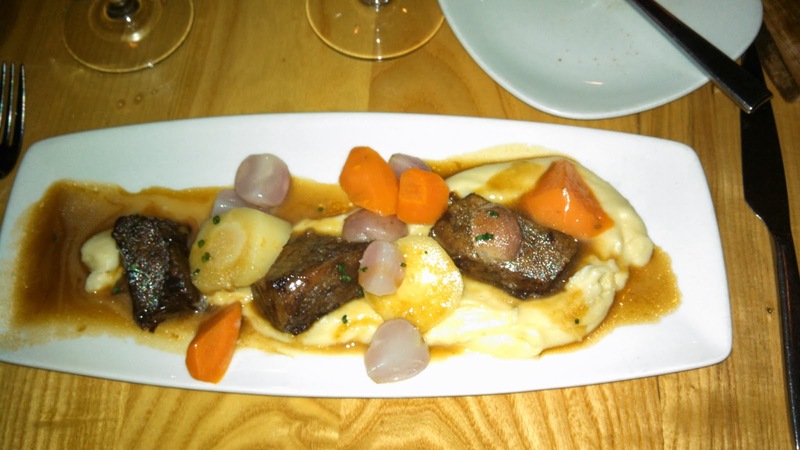 We both got a bowl of potato leek soup as a second course; then he had red snapper and I went with short ribs. The beef dish was a bit too rich for my tastes and I didn't finish the dish, but on the other hand Charles poured my favorite wine of the evening, a merlot-based meritage from California, I believe. The pasty chef is nationally known so we had to order dessert, too. But by then I could only eat a few bites, darn. If I'd skipped the soup......or had fish as an entree.....dessert might have been a more enjoyable addition. Again though I really liked the Banyuls (a French dessert wine) that Charles matched with my chocolate-based dessert. All in all, a fine meal and great evening. 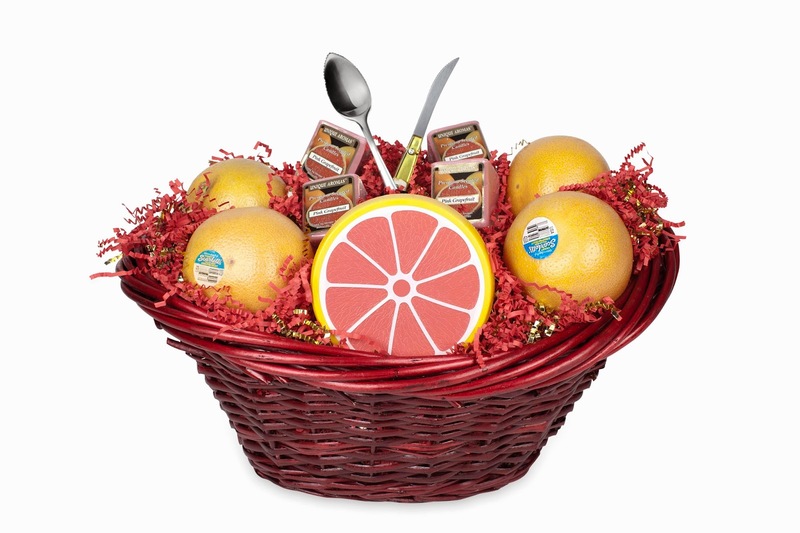 Post three reasons why you love grapefruit and you can have this gift pack shipped to your address! Be sure to include your email address so I can notify the winner (only one, sorry) and get a mailing address. 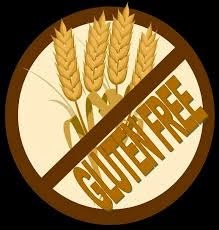 It seems like a scam to me, because very few people actually need to avoid gluten for health reasons. But there are plenty of gullible targets out there who think that buying the (more expensive) "gluten-free" products will cure their real or imagined ills. Here are excerpts from a New York Times article about the money that food manufacturers and retailers are making off all this. The Girl Scouts recently introduced a gluten-free chocolate chip shortbread cookie to their annually anticipated line of sweet treats. Vodka companies vie over which one of them was the “first” to introduce a gluten-free version of their products. And Trader Joe’s recently joked in an advertising flier promoting gluten-free foods that it was selling “Gluten Free Greeting Cards 99 Cents Each! Every Day!” — even though it then went on to say the cards were not edible. Makers of products that have always been gluten-free, including popcorn, potato chips, nuts and rice crackers, are busy hawking that quality in ads and on their packaging. 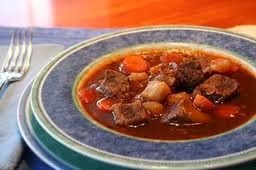 Beef stew doesn't have to be a no-no for the healthy foodie. If you emphasize a pot full of delicious, hearty vegetables made even more scrumptious by a judicious amount of high-quality, grass-fed beef, you can enjoy this delightful comfort food without a shred of guilt. Unless you avoid it for ethical reasons, a little meat in most diets is not a bad thing. 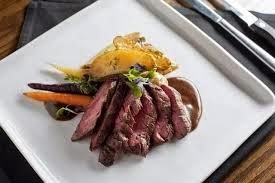 Iron and other minerals are more plentiful in red meat than in any other food you can ingest. And while I'm against supermarket or fast-food meats --see "Food, Inc" or read Michael Pollan and others if you don't already know about the horrors of our industrial food system and its treatment of animals--humanely raised and butchered meat is a treat we allow ourselves once in awhile. 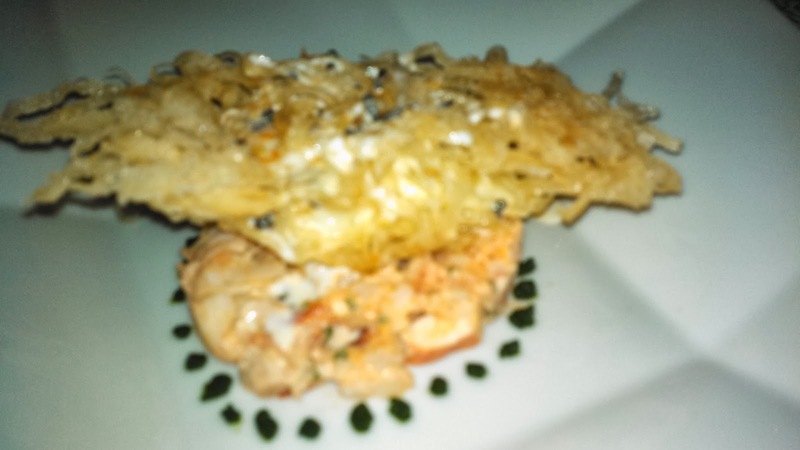 All that said, here is a re-posting of one of my blog's most popular recipes. In addition to the usual beef-stew veggies, this version tastes even better thanks to porcini mushrooms and leeks being included in the mix. One of the (few) things I love about winter is the citrus fruits. They are in peak season now -- oranges, tangerines, grapefruits, even lemons are better now than at any time of year. I'm especially fond of juicy, red grapefruit, and have a half of one sprinkled with a packet of Splenda almost every morning. 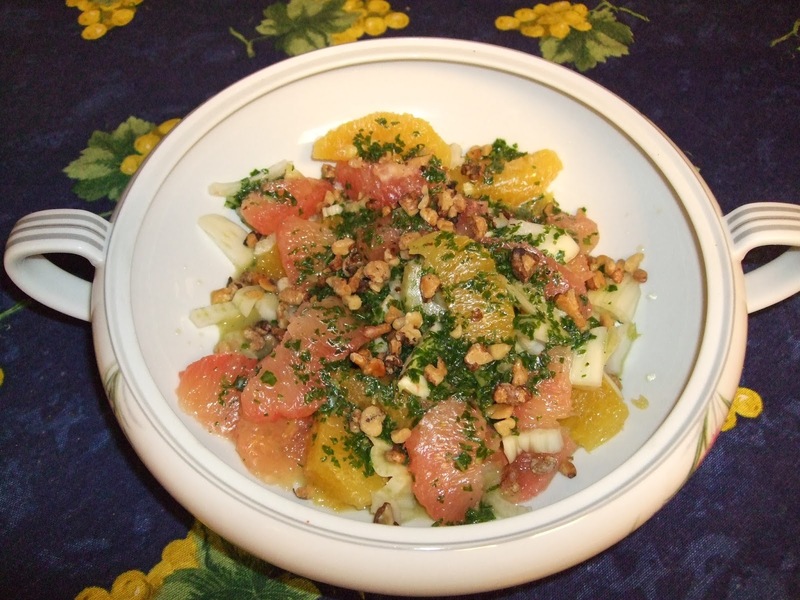 For something a little more elaborate though, I sometimes make a citrus salad that includes orange slices, thinly sliced fresh fennel bulb and chopped walnuts in a simple vinaigrette.